Future missions to the Moon, Mars and beyond will require innovative options to shelter our explorers, and we won’t be able to carry all of the materials with us from Earth. NASA’s 3D-Printed Habitat Challenge, a Centennial Challenges competition, seeks ways to create or develop the technologies needed to create such habitats on-site, and challenges citizen inventors to lead the way. In addition to NASA, Bradley University has partnered with sponsors Caterpillar Inc. For tonight’s event we welcome Eric Reiners, Program Manager in the Automation & Autonomy STLF Innovation & Technology Development Division at Caterpillar in Peoria, to discuss CAT’s participation in NASA’s Centennial Challenge covering the 3-D Printed Habitat Challenge. Currently in Phase 3, Eric will provide an overview of the challenge as well as progress to date. Eric Reiners is a Program Manager within the Innovation & Technology Development Division of Caterpillar Inc. He is responsible for program definition and funding for Caterpillar’s research focus in Automation & IoT Site Technologies. These technologies range from operator assistance through remote control to full autonomy and connectivity based optimized coordination of multiple machines across a job site. He also serves as the Caterpillar liaison for program activity with NASA. His past collaborations with NASA include tele-robotic and automation technologies that were showcased in NASA’s Exploration Highlights. Current collaborations include the NASA 3D Habitat Centennial Challenge. Eric has also served as a judge for the NASA Robotic Mining Competition since its inaugural year in 2010. He is also a member of the Commercial Advisory Board for the Lunar Exploration and Analysis Group (LEAG). Eric began his career with Caterpillar Inc. in 1987. During his 30-year career, he has held a variety of roles in machine design, analysis, testing, new technology introduction, new product introduction, product quality and reliability, as well as development of collaborative government research. In these roles, Eric has gained significant experience in Caterpillar’s surface mining, underground mining, construction and earthmoving product lines. 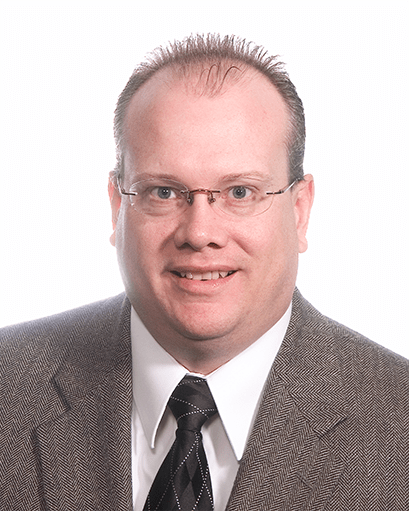 Eric holds ten patents in the areas of machine design and machine automation algorithms. He has Bachelor of Science in Engineering from the University of Illinois at Urbana-Champaign. This is part of a continuing series of space entrepreneurship discussion and networking forums presented by NewSpace Chicago and hosted at mHUB Chicago. Requested donation for this event is $5. NewSpace Chicago is a registered Illinois 501(c)(3) organization. Your tax-deductible donation helps support the entrepreneurial space industry in Chicago. 3D Printing, Caterpillar, NASA Centennial Challenge, Space Habitats, Space Manufacturing, Space Settlement. Workshop Thu 5/31: Design a Sport for Zero Gravity !